Select Art draws on a huge archive of art images from Cornwall’s talented artistic community. 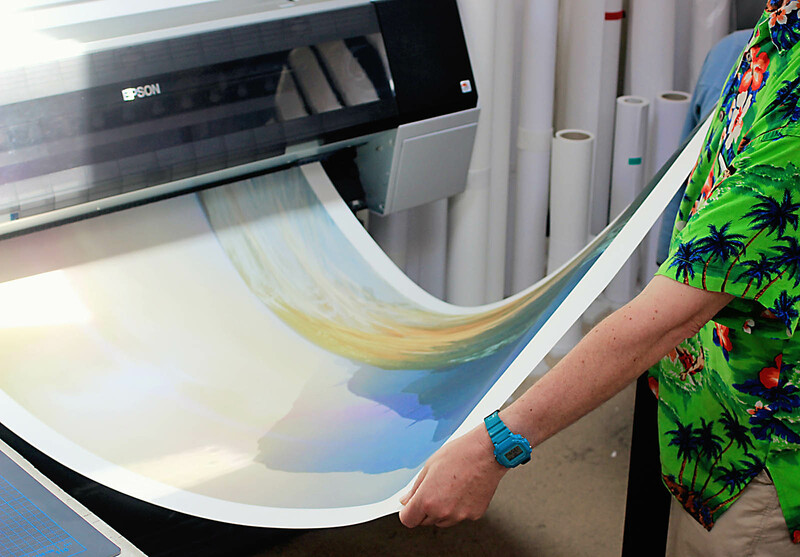 Using a large format Epson 9900 with Ultrachrome High Dynamic Range inks in 10 colours, we faithfully reproduce artwork in vivid and subtle tones over a very wide gamut, with archival quality papers! Each print you buy is printed specifically for you. It has been certified by the artist and has a unique identification number sealed in to the print; every print comes with a signed and sealed certificate of authenticity. After printing, the prints are despatched in wide diameter strong-walled boxes to ensure they reach you in pristine condition. We print on the finest art papers and canvas – most of the prints in this catalogue will be produced on Hahnemühle German Etching paper, a heavy mould-made medium made from 100% a-cellulose. We engage with new artists every month and our current artists continually produce more work, so you can be sure there’s always new and often unique images to be found here. Our studio is in the heart of Cornwall at Mount Pleasant Ecological Park, Porthtowan, on the rugged North coast. The building is the largest rammed earth structure in the UK and we enjoy wind power for equipment and completely free and sustainable heating from a biomass boiler.